Happy election day! Whether you&apos;re doing a last-minute catch up or need to get some information, we&apos;ve got a few basic tips for you below. The following is intended for the City of Los Angeles election, but some may be useful to everyone. If you are voting in another city, go to your city&apos;s homepage and check in with their election information. Polling places will be open from 7:00 a.m. and close at 8:00 p.m., but keep in mind—and with this election in particular—that volunteers run these locations and at opening time, a little patience might be required. Don&apos;t know your voting location? 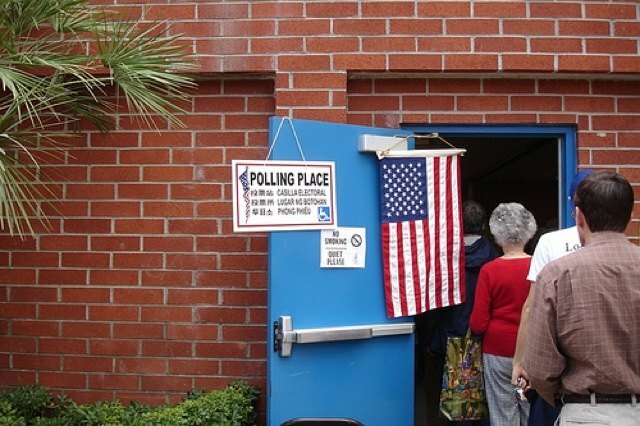 Use this polling place location finder. This link will also direct you to a digital version of your sample ballot. As usual with every election, parking will be relaxed during voting hours when you go vote. Within one block of polling places, parking meters, time limits, permits, street sweeping zones will not be enforced by parking enforcement officers or the LAPD. Don&apos;t know who and what you&apos;re voting for? Have a quick study here. Want to watch the results as they come in? After the polls close, keep on hitting the reload button on the election night results page. You can also tune into LA&apos;s Channel 35.